Be sure to print the $2 off Schick coupon if you haven’t already! 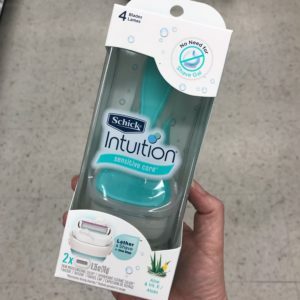 You can pair it with $10 ECBs to get a $4.99 Intuition Razor, regularly $11.99 at CVS. –like getting both for $9.98 or $4.99 ea.